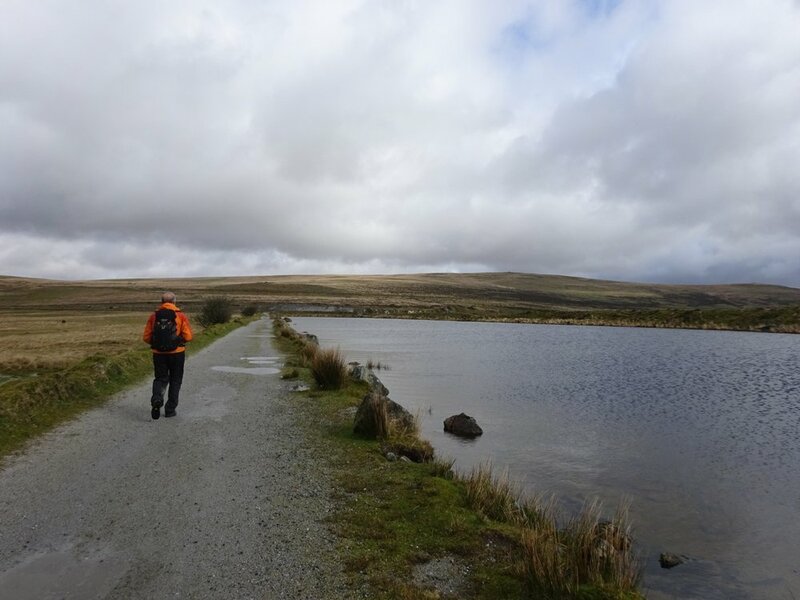 Over the last two or three weeks the project officer for the Dartmoor Way walking route has done a recce of the 102+ mile circular route, which runs around the moorland edge. It was set up several years ago (along with the cycle route), but whereas the latter was waymarked the walking route never has been – until now! 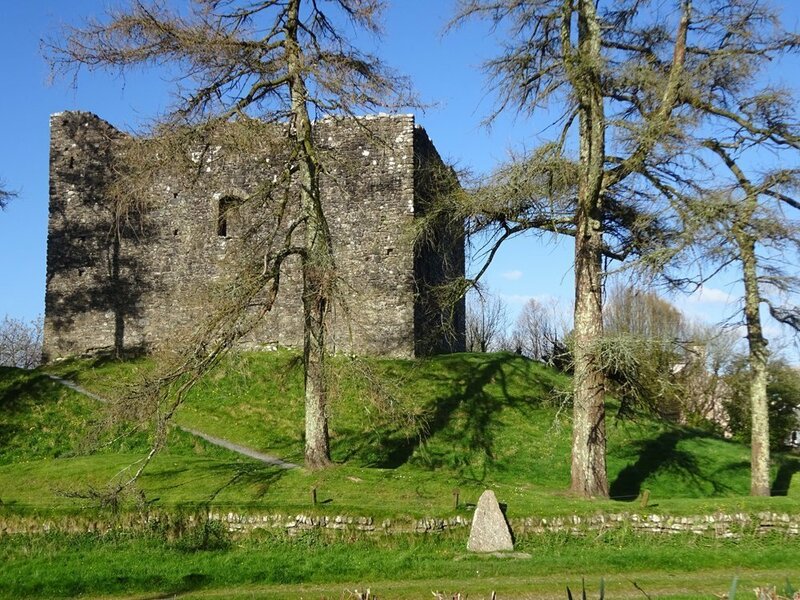 Funding has been secured and the route will be waymarked this year, and officially (re)launched in spring 2020. 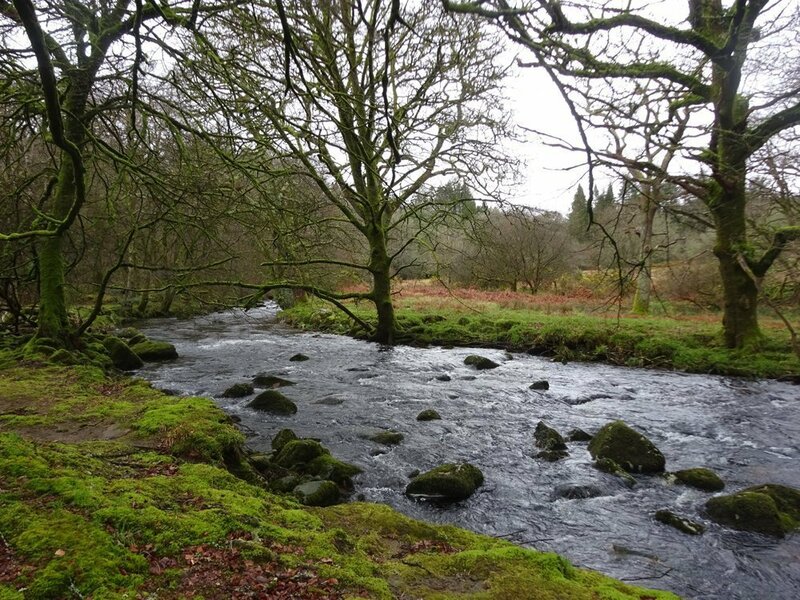 I joined the recce-ing party (identifying where waymarks are needed and can be installed, and looking at route options) for two days: 17km from Shaugh Bridge to Ivybridge (a new section: the original route left out the SW corner of the moor) and 16km from Okehampton to Lydford. 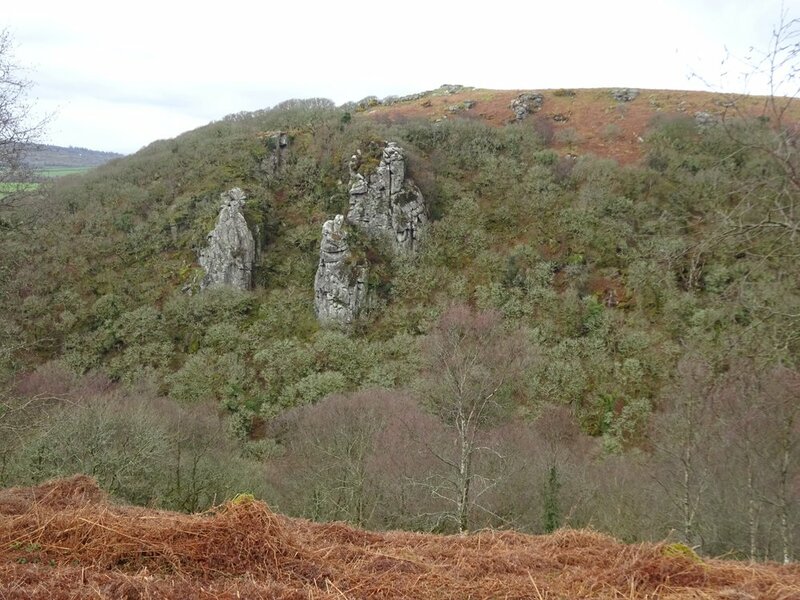 Two wonderful and very different sections, as can be seen from the following photos (in very different weather conditions too). 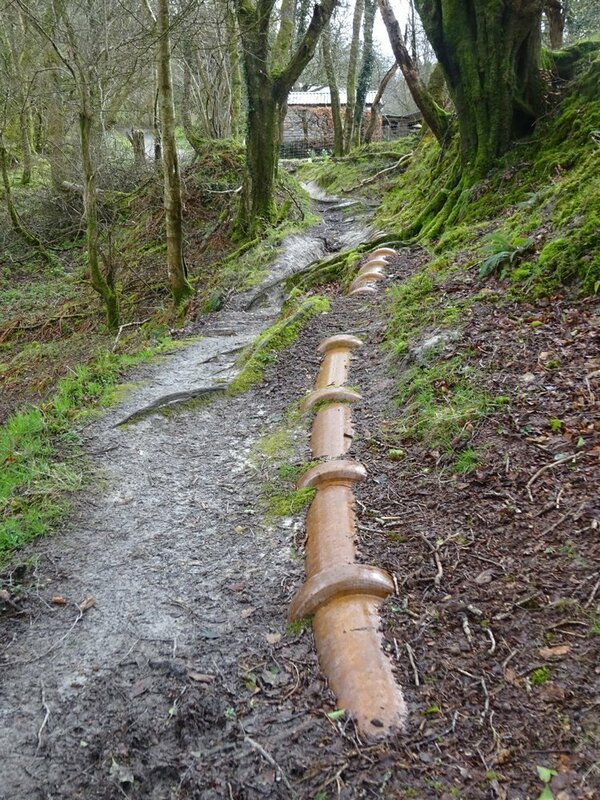 We set off from Shaugh Bridge and followed the ‘pipe track’ (along which china clay was carried in suspension to settling tanks at Shaugh Bridge) across West Down and through North Wood, enjoying lovely views across the Plym valley to the Dewerstone crags. 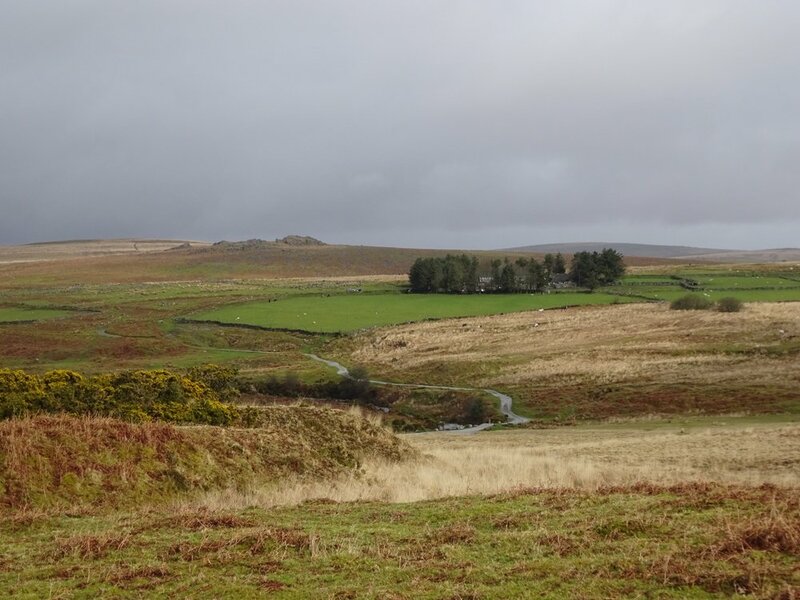 From Cadover Bridge the Dartmoor Way heads along the lane towards the china clay works, with good views towards Great Trowlesworthy Tor. 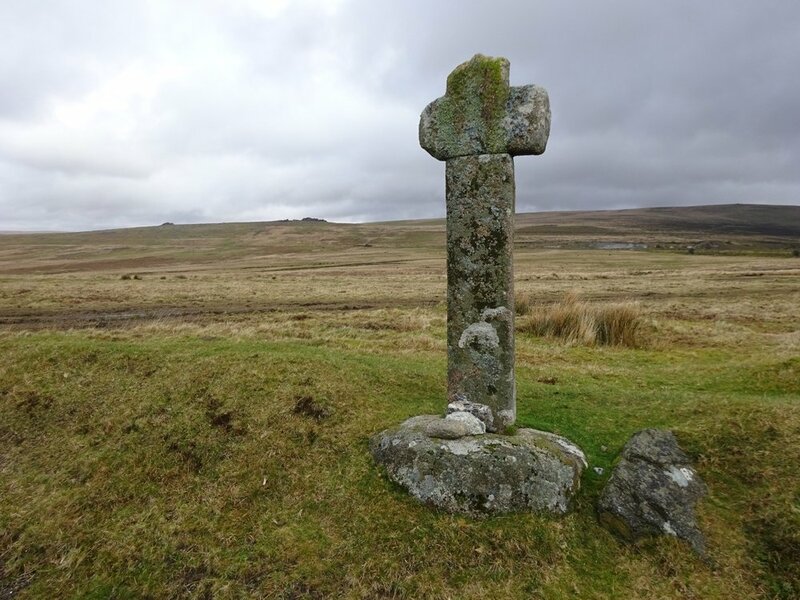 Blackaton Cross is passed, then ‘Big Pond’ on the edge of more workings (all new ground for me: many’s the time I’ve looked at the OS map and wondered how the DW might negotiate this corner of the moor). 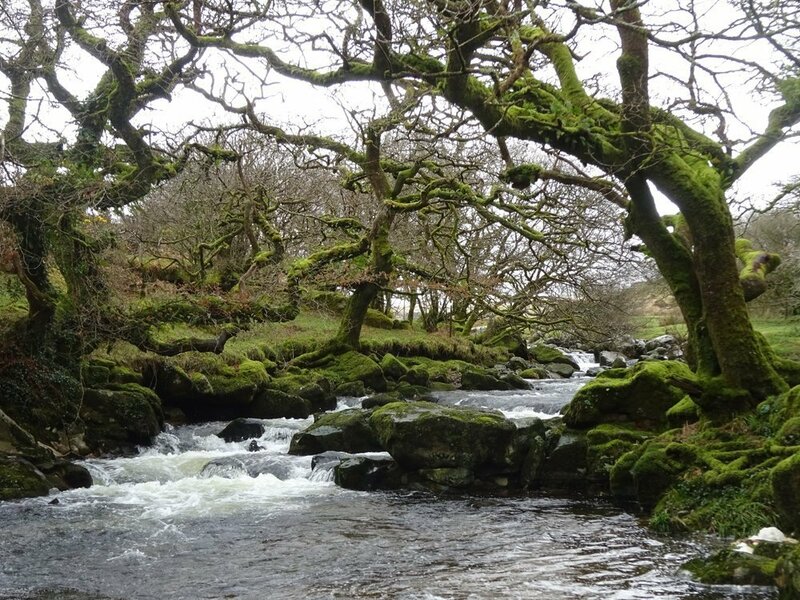 It was pretty bleak on the day, and the rain soon set in. 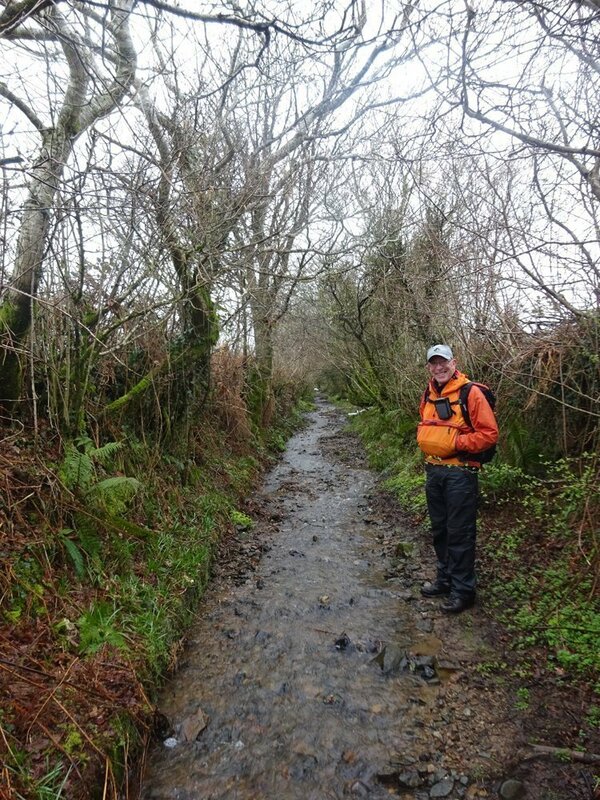 Below Penn Beacon the ground became boggy, raising a few ‘what’s the best way through here?’ questions… repeated when the proposed route off the moor towards Cornwood turned out to be permanent watercourse rather than footpath! 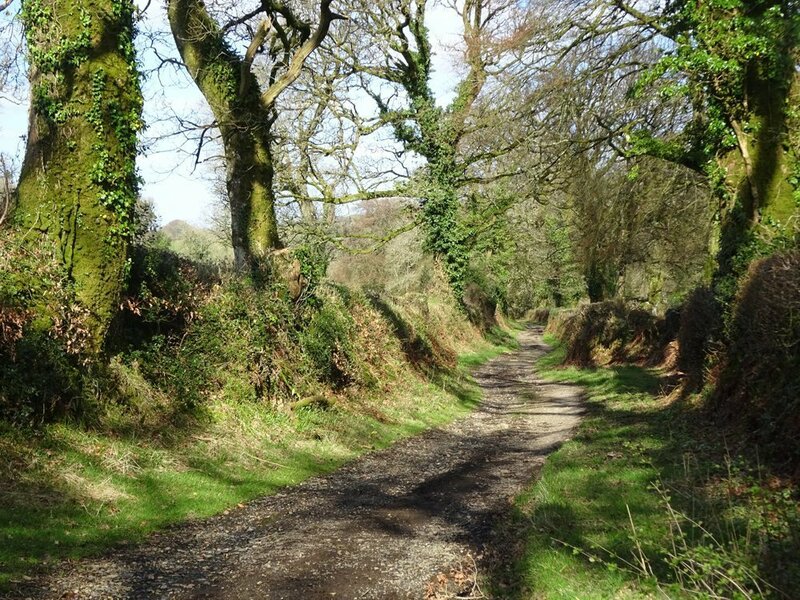 Quiet lanes carry the DW on through Tor towards Harford Bridge, before which a lovely path heading south through the wooded Erme valley takes it down to Ivybridge. 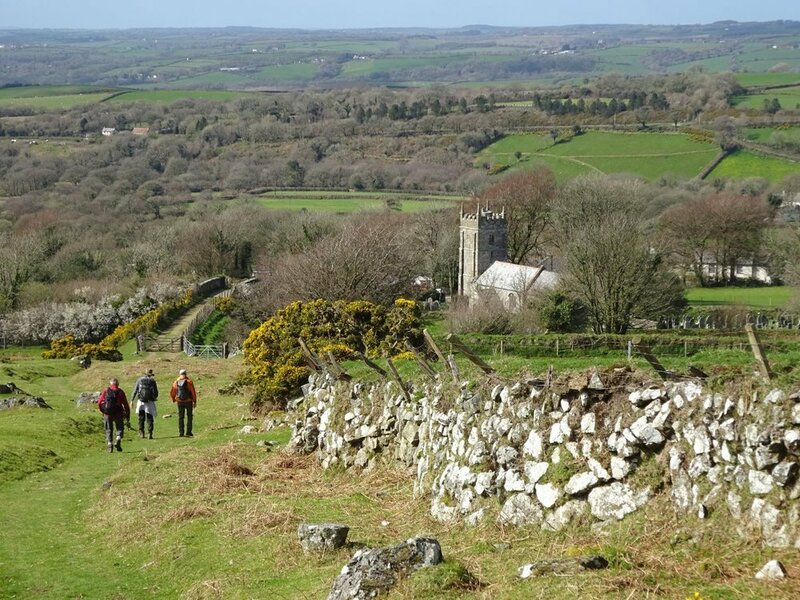 My second day out on the DW dawned bright and sunny, and I have to say that the route from Okehampton to Lydford is stunning. 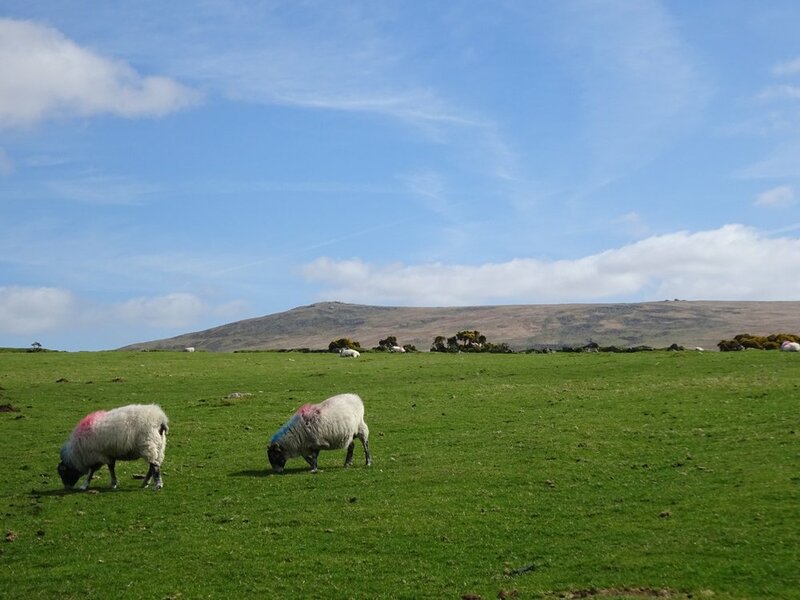 Easy to follow, non-taxing, along a variety of field and woodland paths, moorland edge and quiet lanes – with wonderful views towards Dartmoor’s highest ground. 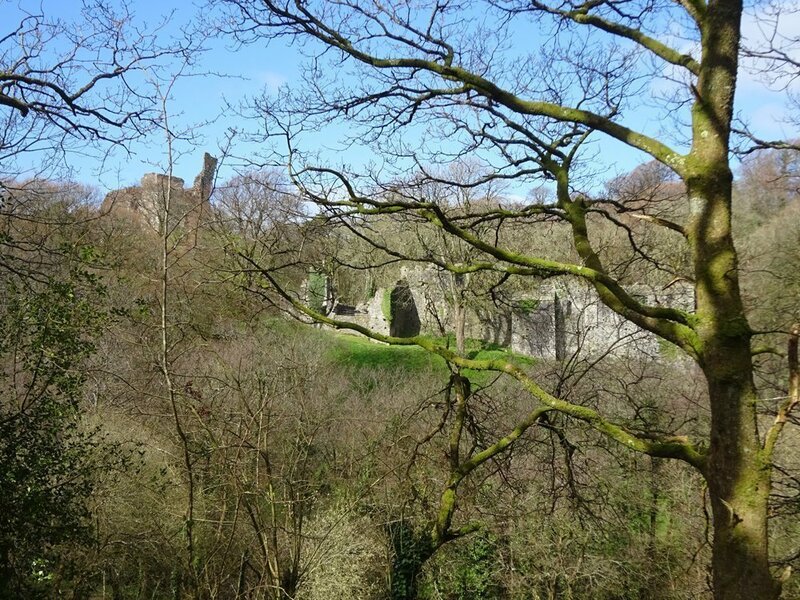 First stop Okehampton’s Norman castle (Devon’s largest), just visible through the bare branches, then across the golf course and through Meldon woods (amazing at bluebell time!) 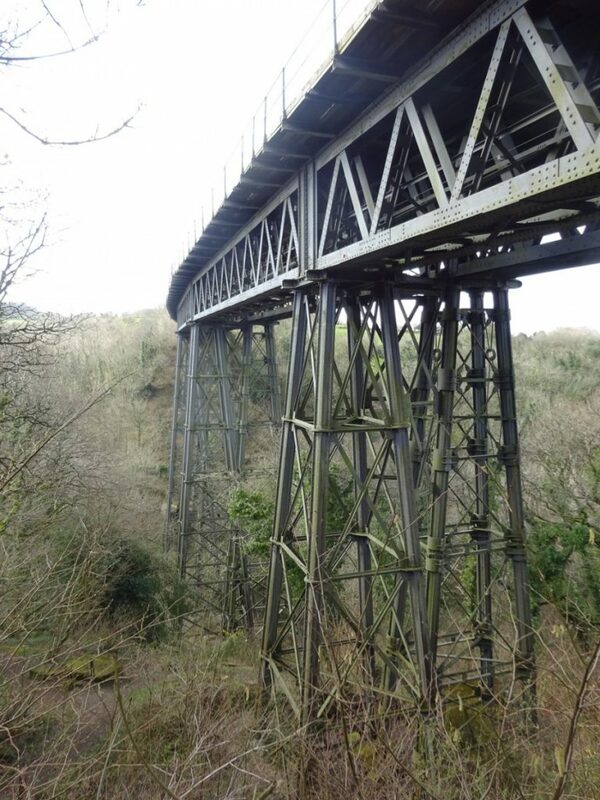 to the spectacular viaduct, built in 1874 when the LSWR railway was extended to Lydford. 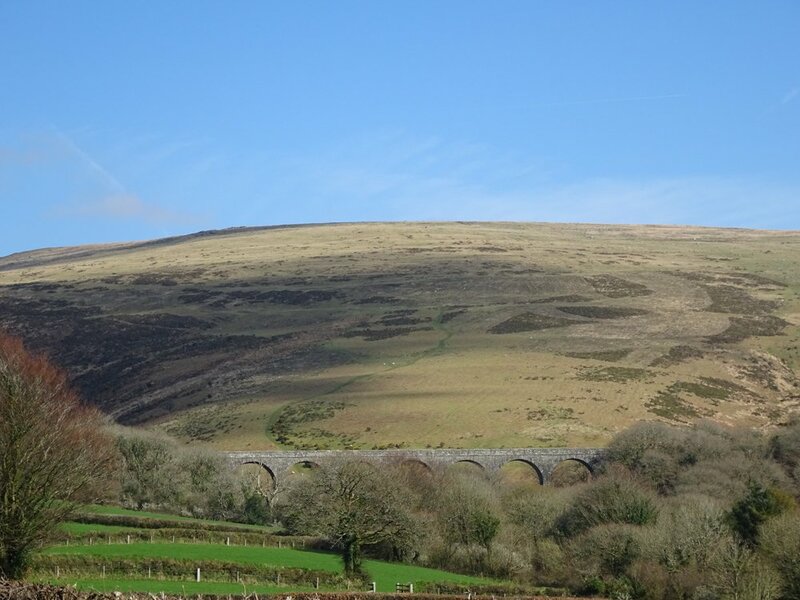 We crossed the viaduct on the Granite Way, then picked up the Two Castles Trail/West Devon Way heading southwest across South Down and Prewley Moor, with fabulous views of Yes Tor and High Willhays (header photo). Below the Sourton Tors we dropped off the moor at Sourton, with its beautiful 14th-century church. From there the DW runs through fields and along green lanes west of the A386. We got a stunning view of Lake Viaduct and Corn Ridge. 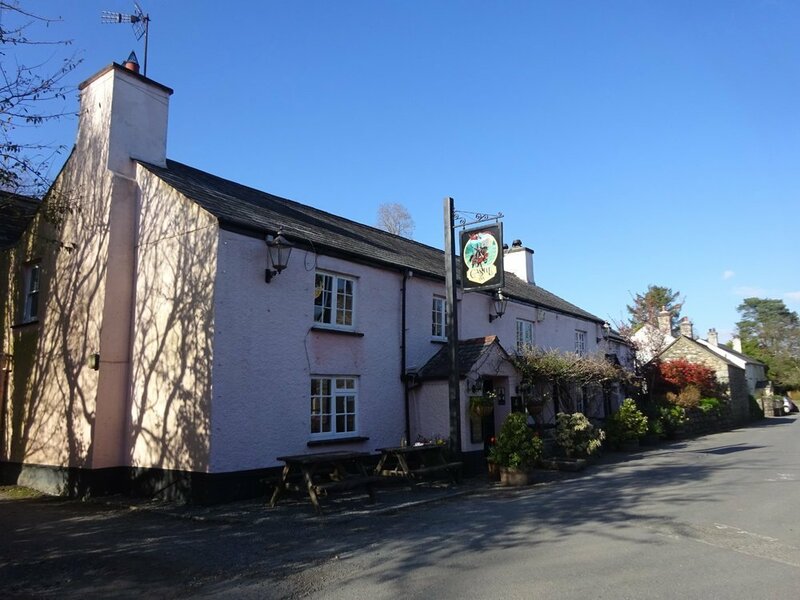 After 16 blissful kilometres we ended up in Lydford: always a treat (once home to a mint, an infamous gaol, a stannary court, and the end of the Lych Way from Postbridge…). A refreshing cuppa (it was only 4pm!) at the Castle Inn made the perfect to a perfect day. 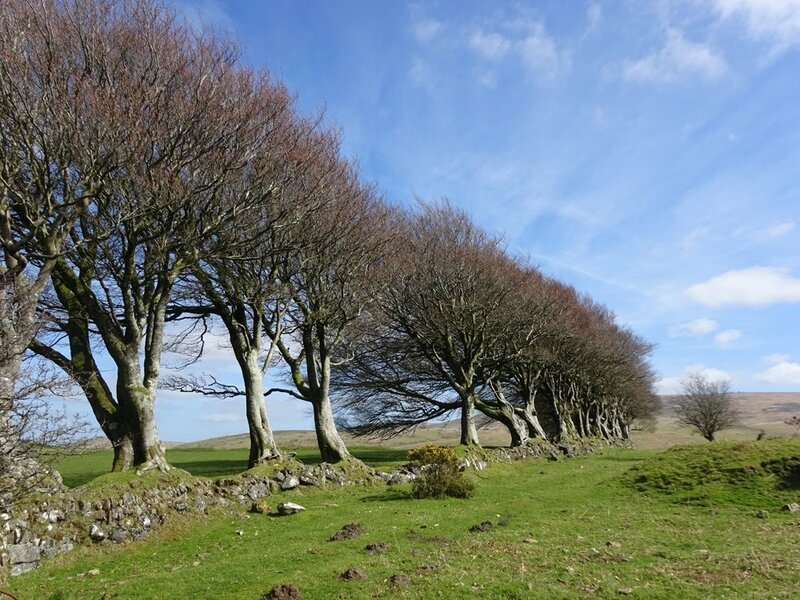 I can’t wait to walk the whole thing – and just think of what great walking options it will open up (a huge Dartmoor figure-of-eight, employing the Two Moors Way for the S–N stretch, perhaps?! ).